we have two official cars this year. one for my son in webelos and the other for my son in the wolf den. this is my oldest son's last pinewood derby car and my youngest son's first pinewood derby car. 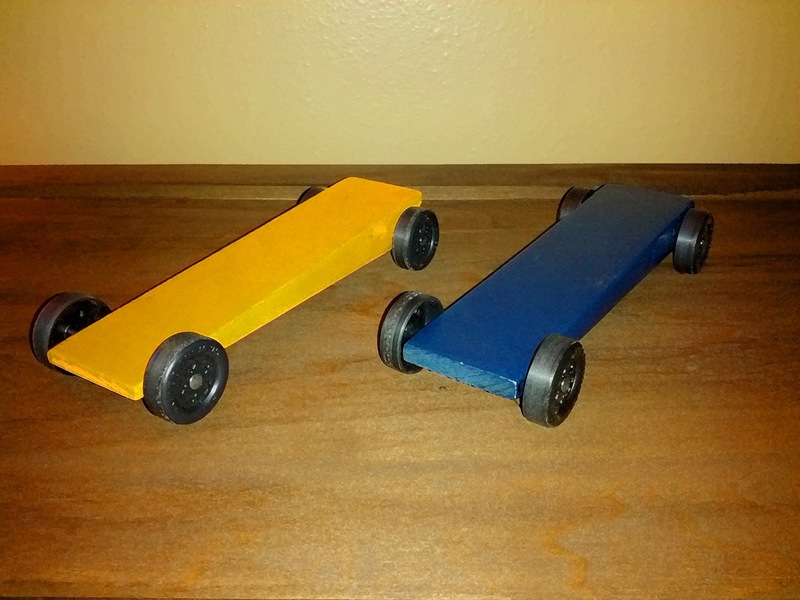 we consulted a "professional" pinewood derby car-maker. we'll see how well i've ... ahem ... we've followed directions for making fast cars.